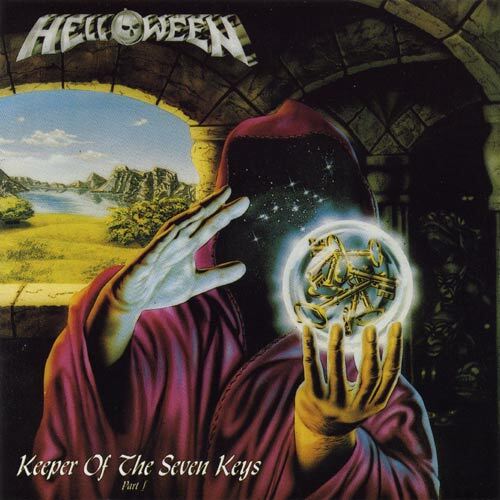 Despite positive reviews all around the net for Helloween's Keeper of the Seven Keys Part I, I can't say I've ever found any fondness for the album, especially when the band's earlier and later works are much more aggressive. That's not to say the record doesn't have its fair share of great tracks because it does; it's just that my main beef lies with the lack of memorability, which keeps me coming back to albums for years on end. When I'm listening to Keeper, I can find something to enjoy about it, but once the songs come and go, I can't remember what I've heard. Keeper, in turn, fails to scratch my power metal itch, so I tend to look elsewhere to fulfill my needs. I realize this was a groundbreaking and influential album, but it leaves something to be desired, especially when other power metal bands brought galloping riffs and gruff vocals to the table. But that's just it: Helloween were developing the Euro power metal sound, which was much different than the USPM movement in the United States. I suspect I'm definitely biased toward the more aggressive side of power metal, but there should still be something to enjoy about this record. And, really, there is, but I'm torn. For starters, the production is weak and doesn't actually give the music any power where potency would go a long way in bolstering up the album's aesthetic appeal. After all, strong double bass is common in Euro power metal and, while it's there, the production tends to mask it. All the right ingredients are in place--let me assure you of that--but they don't get a chance to shine. Although I find most of the songwriting very good, many midsections will drag on and taunt me to proclaim them as filler. 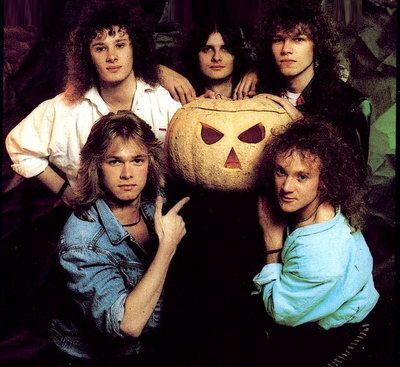 Arguably a Helloween classic, "A Little Time" is a great track up until the midsection with the ticking clock and, in a similar vein, segments of "Halloween" come off as tedious, forcing me to press the button for a little fast-forward action. While the record was indeed my introduction to the band, I can't remember enjoying it, or playing it repeatedly as any good newbie should. I neglected to purchase any more albums from Helloween for the longest time, too: thank god I decided to check out their earlier and later work because a good chunk of it is fantastic and something most metal fans do not want to miss out on. I must say, however, that the overall opinion toward Keeper of the Seven Keys Part I is normally very optimistic. You'll likely find something to enjoy about it.